Water levels in the large pond at Magnolia Cemetery are controlled with this screw mechanism connected to a gate that allows water to drain off into the marsh. 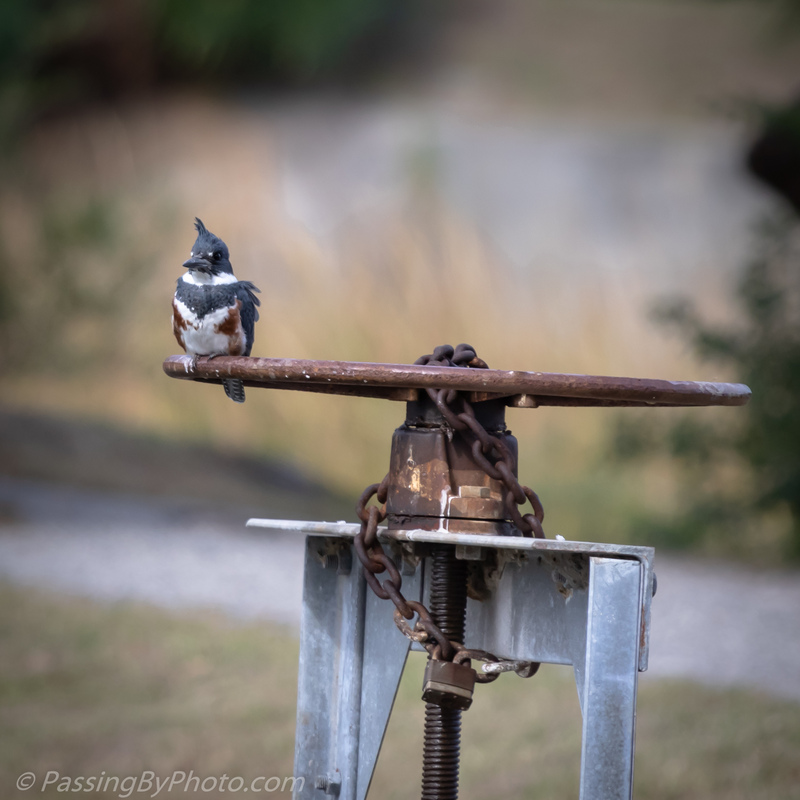 I’ve often seen Belted Kingfishers that work the pond for food use it as a perch. 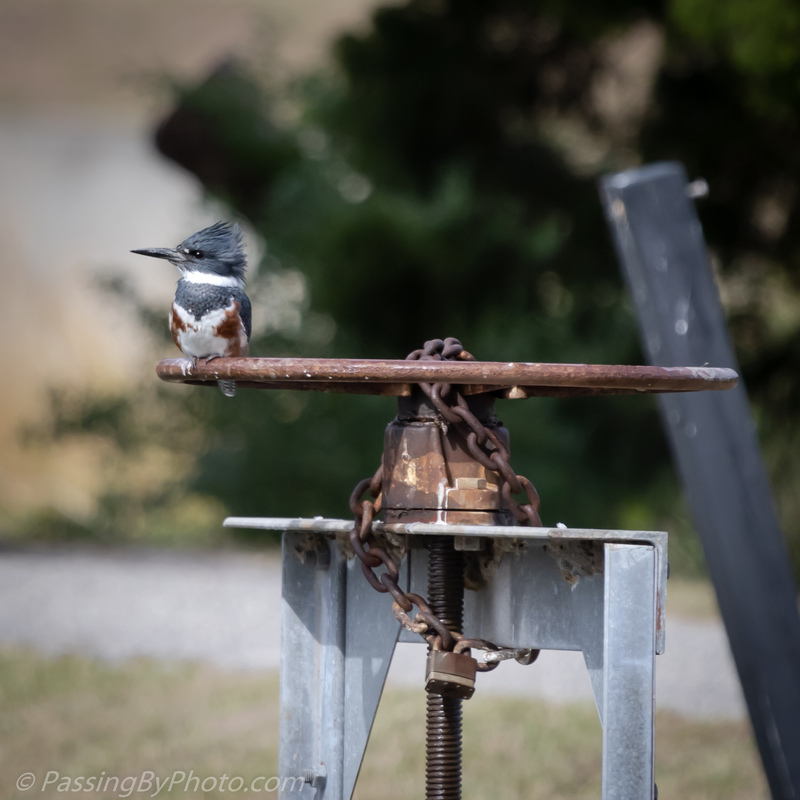 The Belted Kingfisher’s loud rattling call often helps you locate one, and I had watched one make several zippy trips across the pond without even getting to lift my camera. I took these from the car as we were leaving. 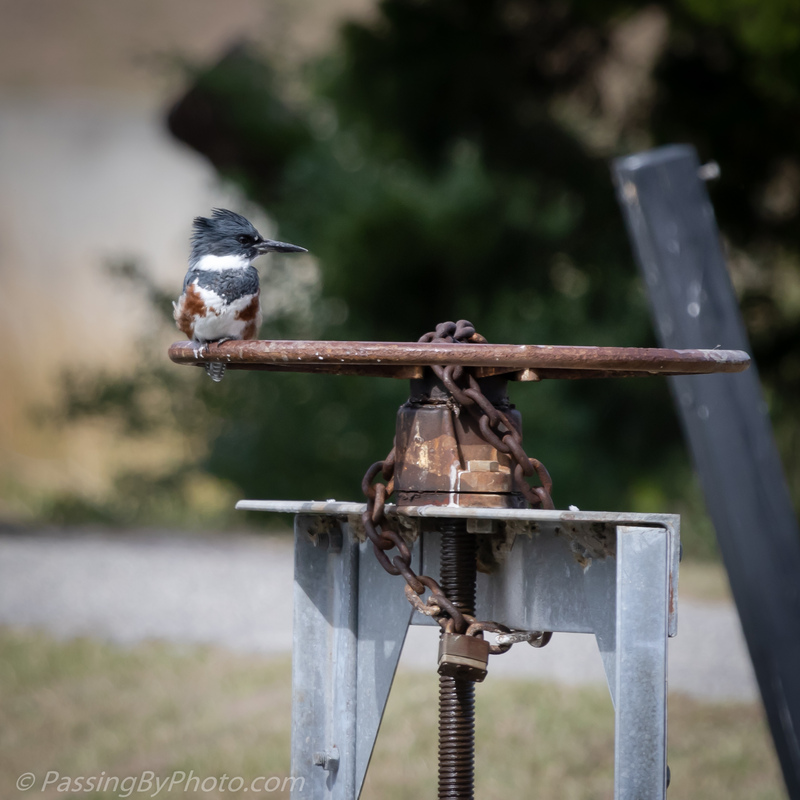 I got a little closer before another car came and captured this head on view showing off the Kingfisher’s top knot. They match perfectly together in color!